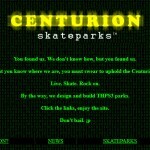 Centurion Skateparks is a custom website created to advertise and distribute downloadable custom content for the PC game Tony Hawk’s Pro Skater 3. All custom content on the site, including promotional materials and graphics were designed and created in-game and in Photoshop, coded and uploaded to a free web hosting site. 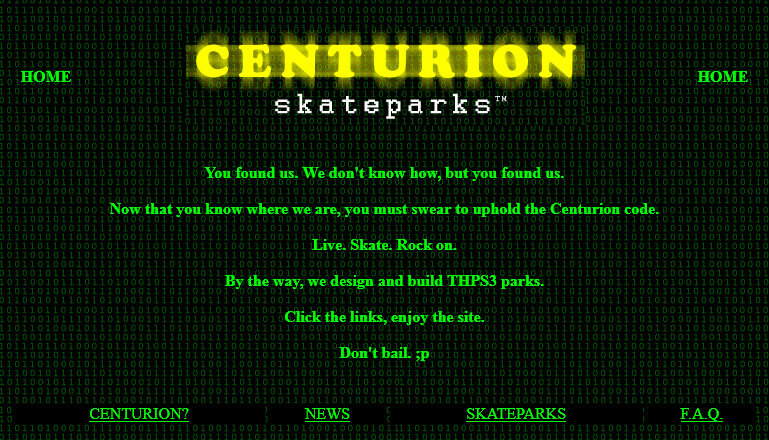 The park files themselves ended up eventually getting automatically deleted by the web hosting service due to a policy change. And, shortly after the launch of the E-Gallery in 2016, the site itself disappeared as well for unknown reasons.